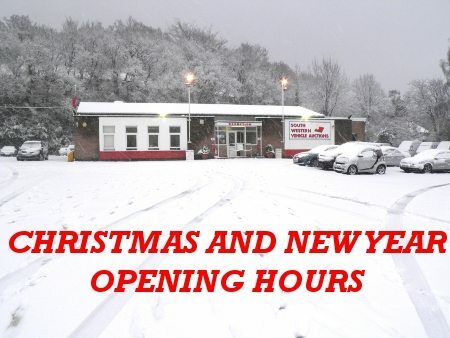 Saturday 21st December 9:00am to 12:00pm – Last day SWVA is open before Christmas. Tuesday 31st December @ 4:00pm – Normal car auction. Thursday 2nd January – SWVA reopens for the new year.